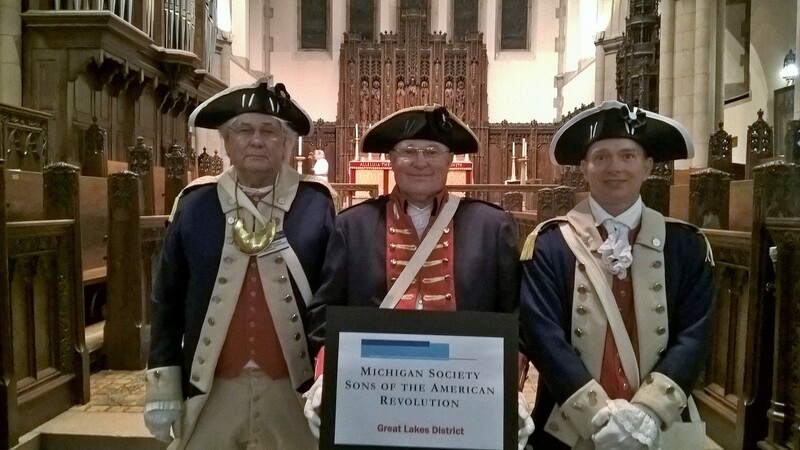 On November 12, the State Society Color Guard was on hand for a Veterans Day Observance at the Cathedral Church of St. Paul in Detroit. 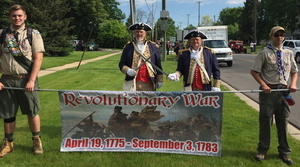 From left, Compatriots Gerald Burkland, Paul Callanan, and Jason Gideon. 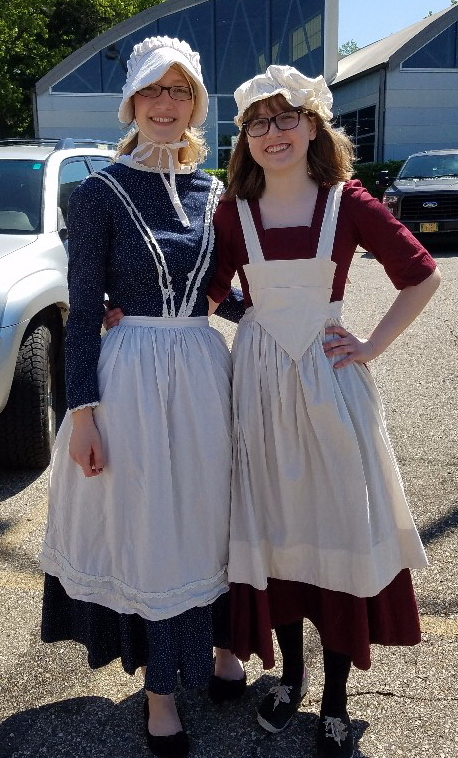 The MISSAR Color Guard was on hand to support the Detroit Chapter of the National Society Daughters of the American Colonists for the dedication of Oakwood Cemetery as the first cemetery in Northville, Michigan. 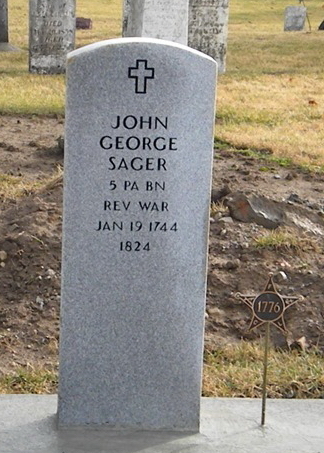 A historic plaque was erected commemorating the cemetery and the event. 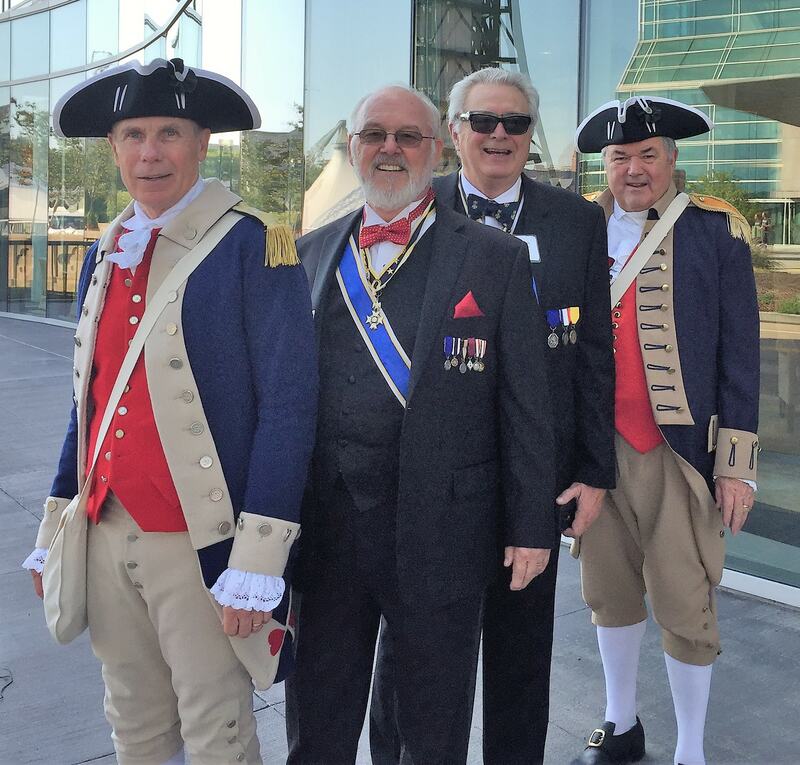 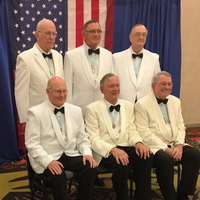 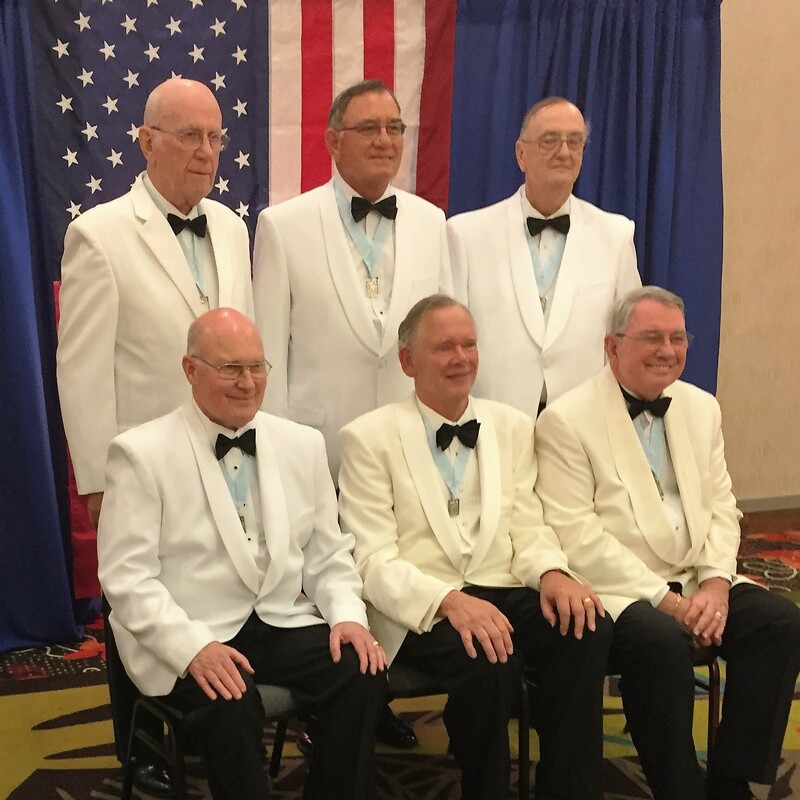 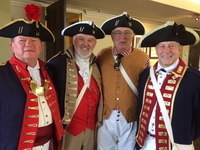 From L-R above: State Secretary Dennis Van Wormer, Color Guard Commander Gerald Burkland, State 1st Vice President James Petres, State 2nd Vice President Ken Goodson, and Color Guard Drummer David Moore. 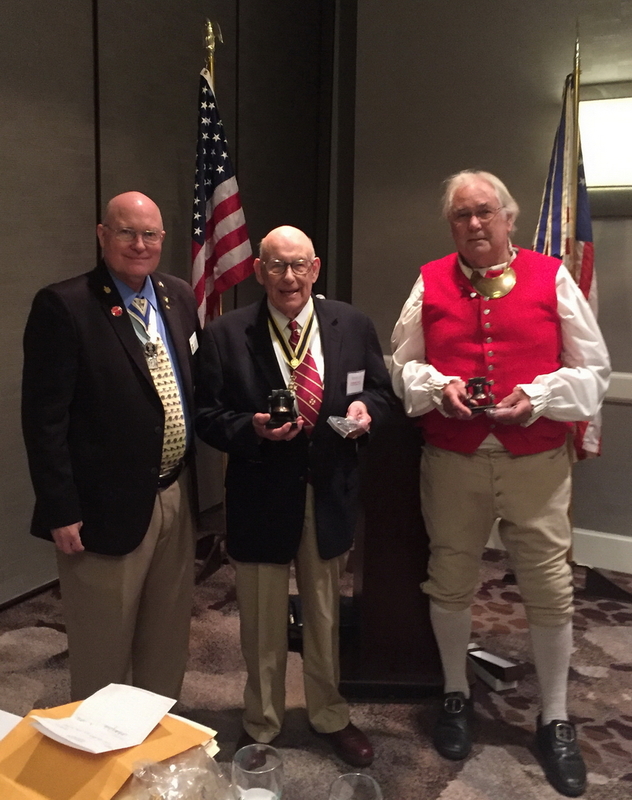 High technology and a full slate of awards and discussion topics were the order of the day at the quarterly MISSAR Board of Managers meeting held at the Marriott Hotel in Livonia on Saturday, September 9. 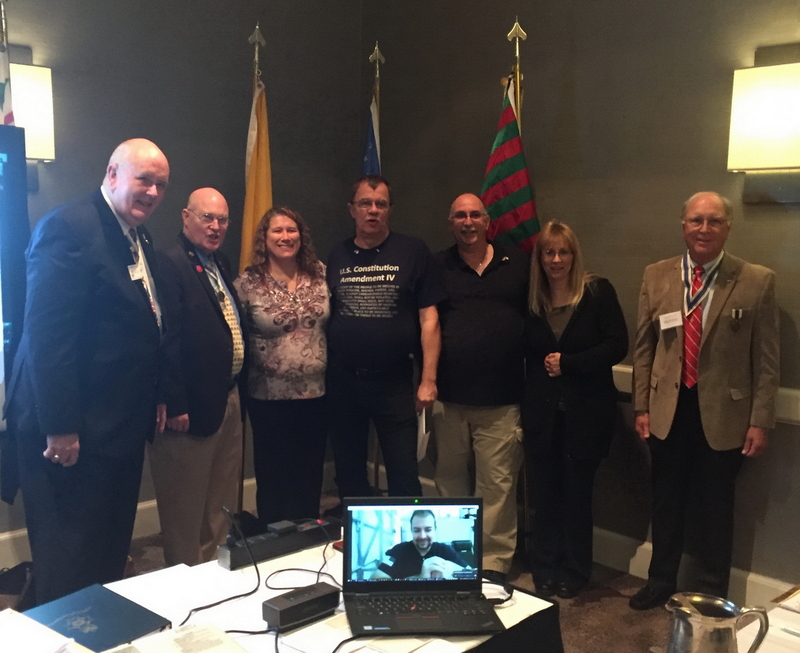 The highlight of the afternoon was a special new member induction carried out over the Internet using Skype (a first for the Michigan Society) by SAR Secretary General and NMC member Warren Alter for Compatriot Donald Schell, who is currently serving his country in Iraq. 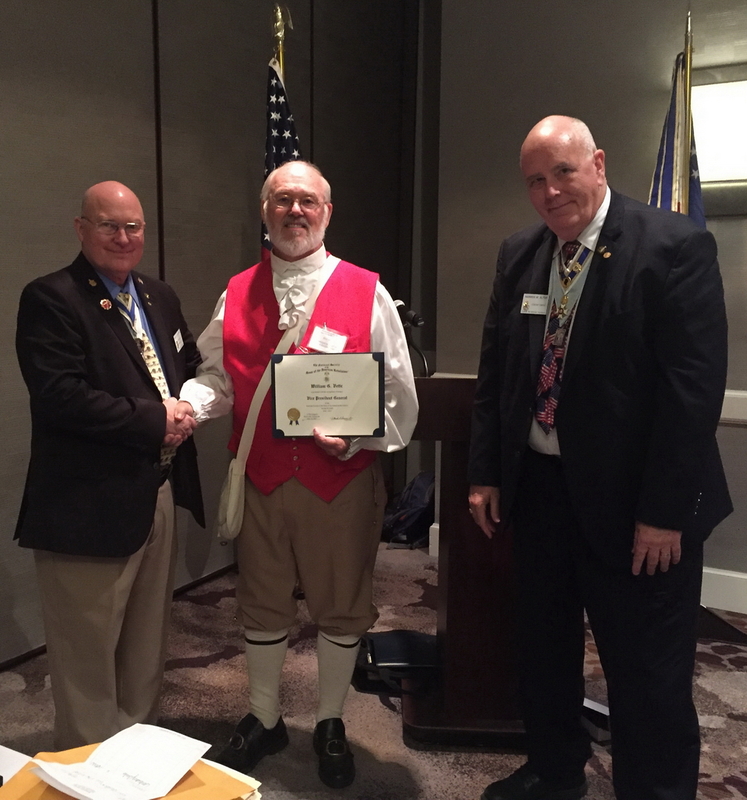 Compatriot Schell was inducted into the Kensington Valley Chapter, along with his uncle, Paul, and his father, James. 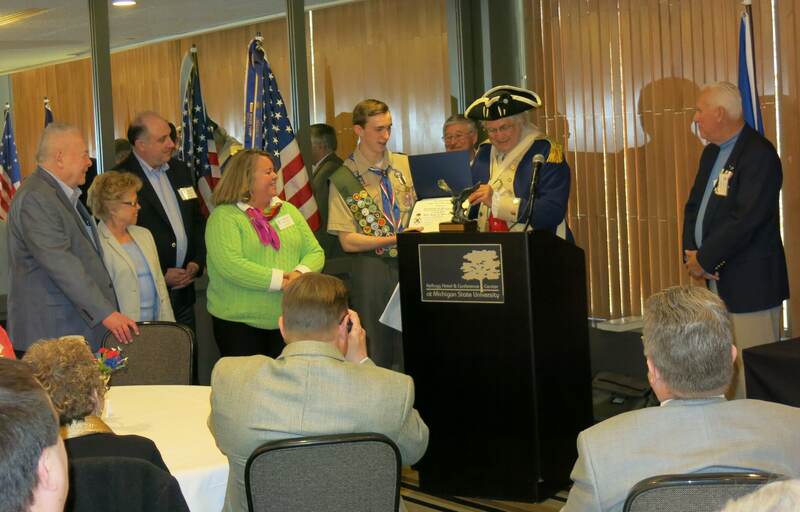 Our State Society was recognized with the Patriot Biographies Certificate and streamer (along with the Kensington Valley and Northern Michigan chapters, the Eagle Scout Scholarship Contest Certificate of Participation and streamer, the PG’s Challenge for Youth Awards Council recognition, and the Partners in Patriotism Certificate (along with nine of our eleven chapters). 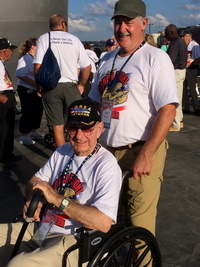 Click on the image above to enter the photo gallery and learn more about the event. 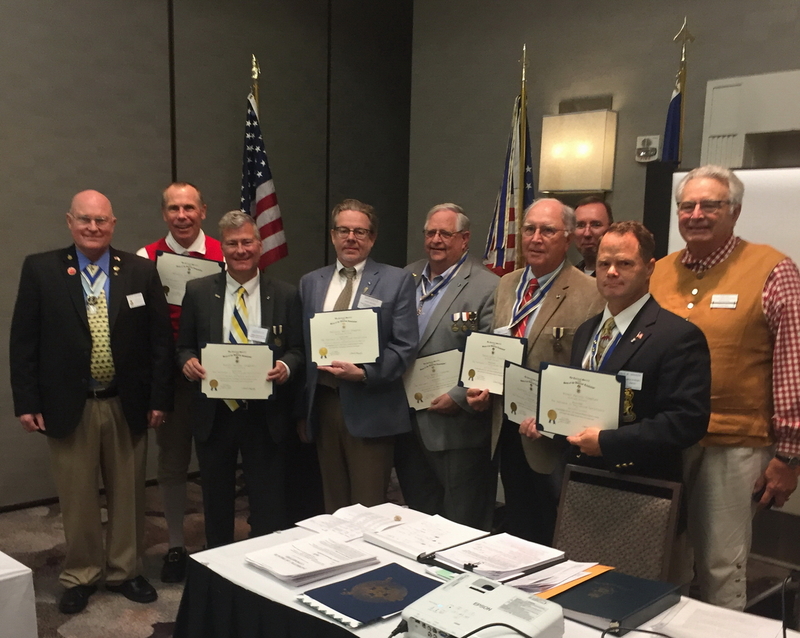 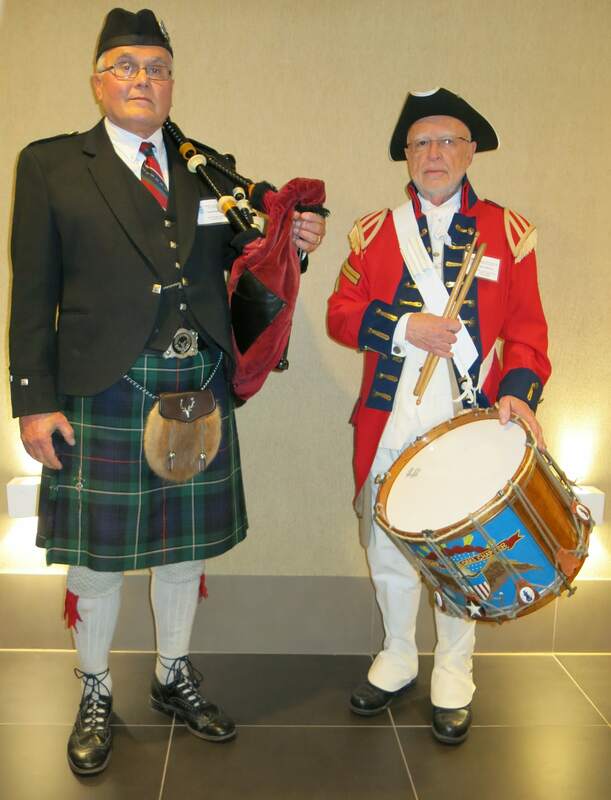 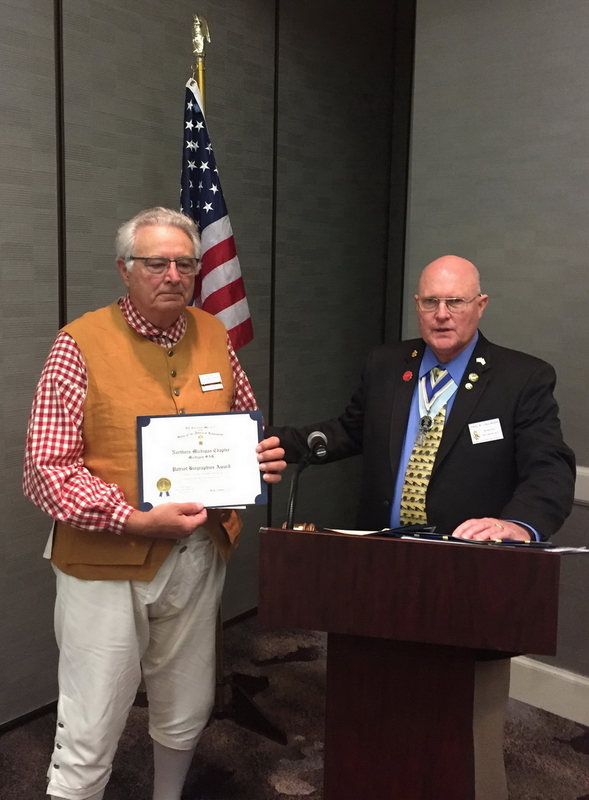 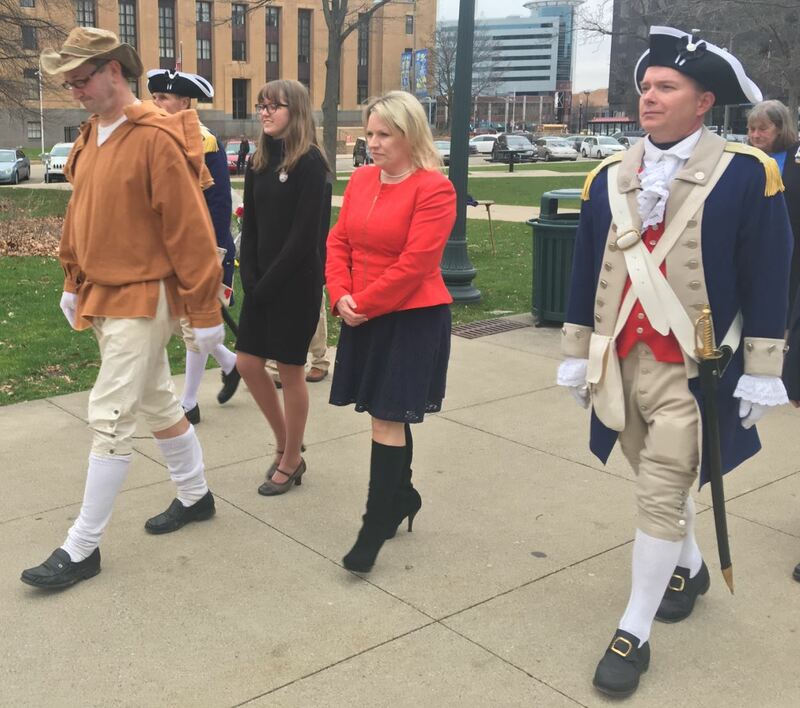 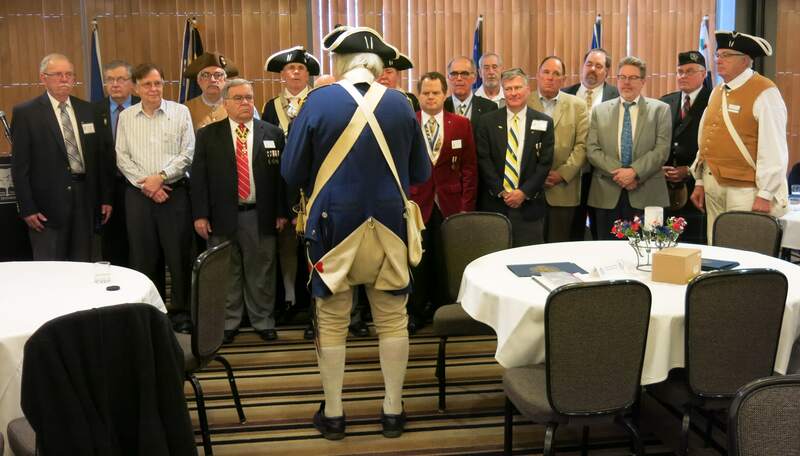 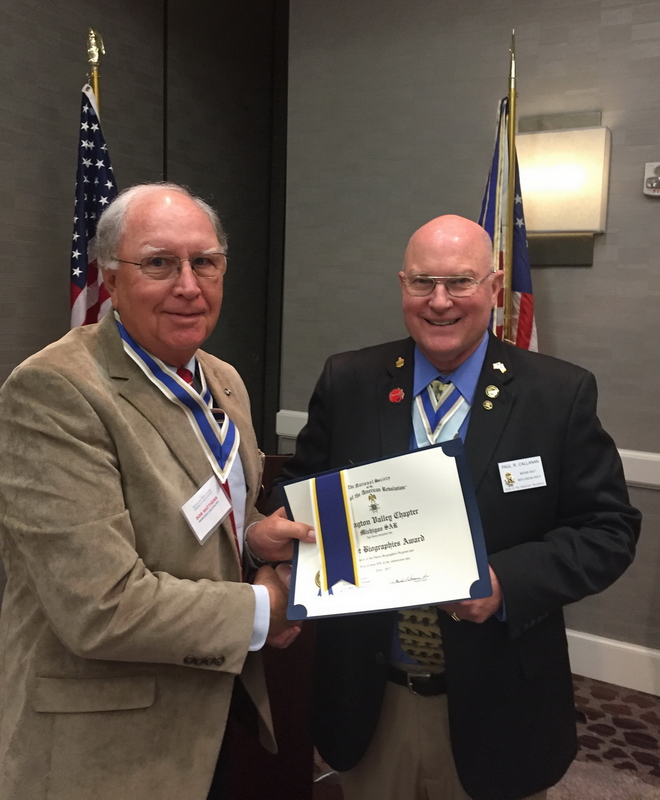 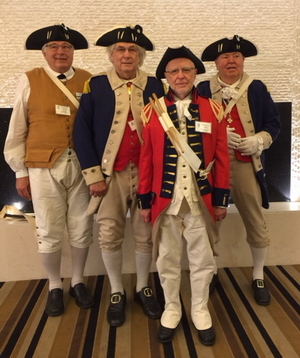 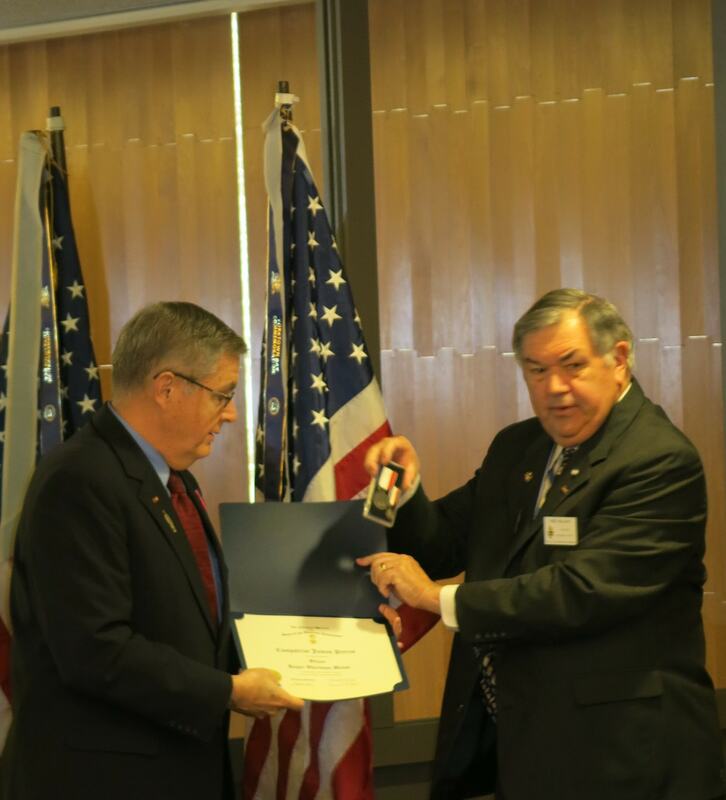 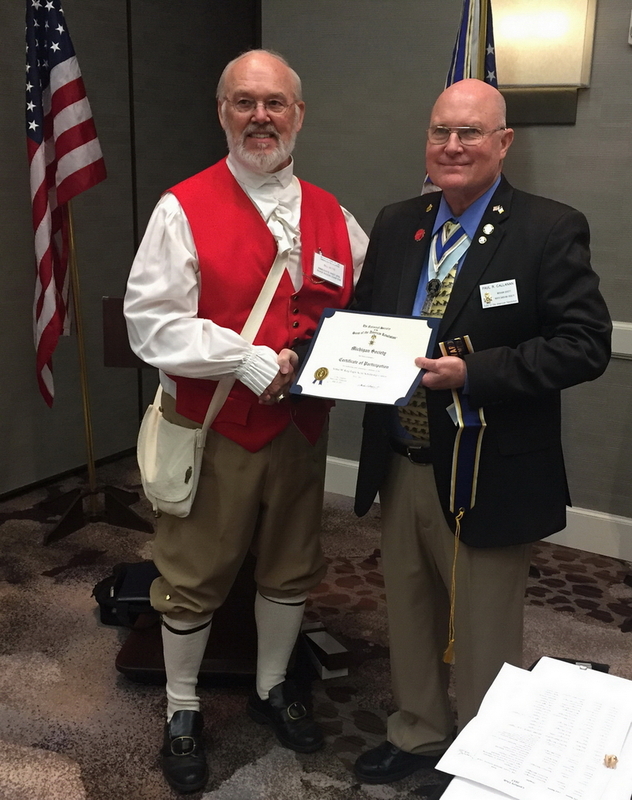 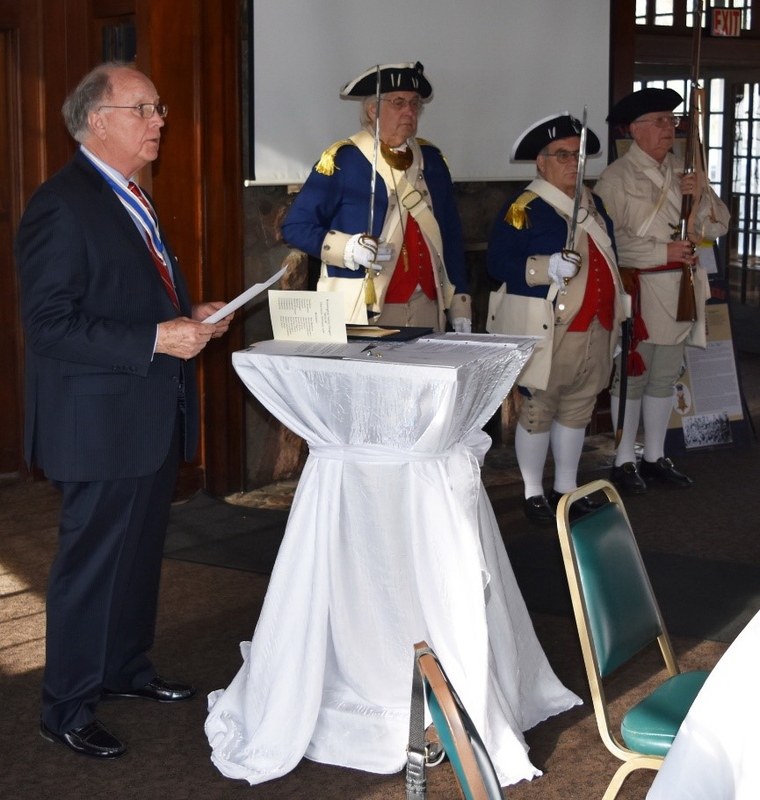 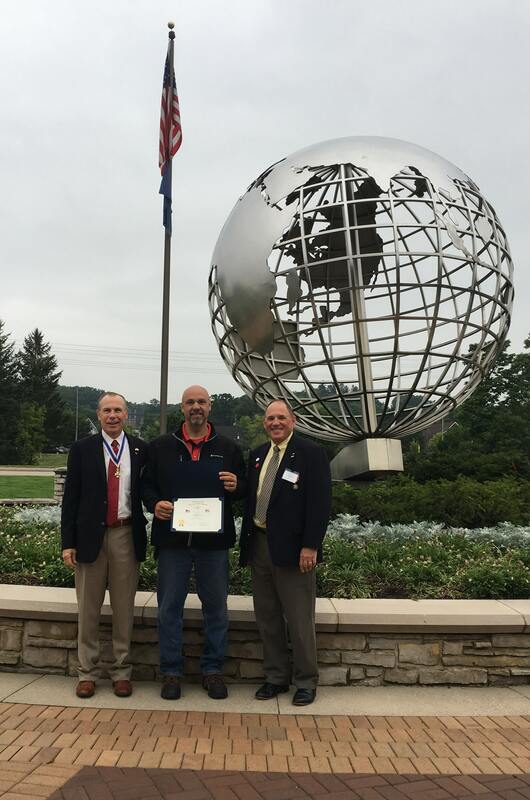 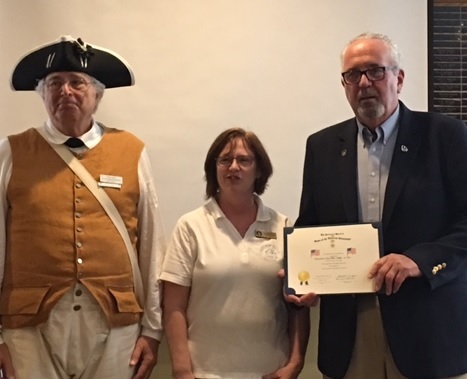 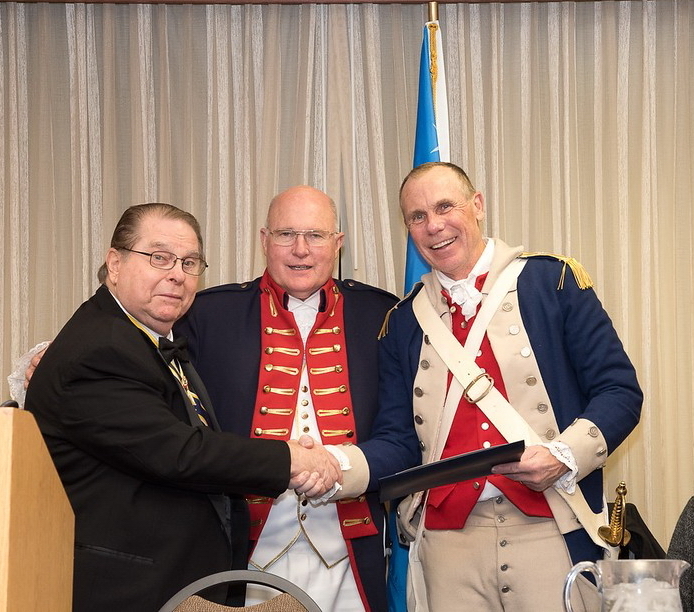 Paul Callanan, President of the Michigan Society, Sons of the American Revolution, has received the coveted SAR Minuteman Award by the National Society, Sons of the American Revolution at the 127th annual National Congress held July 7-13, 2017, in Knoxville, Tennessee. 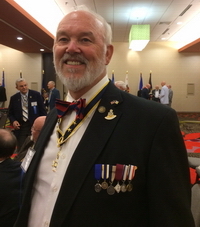 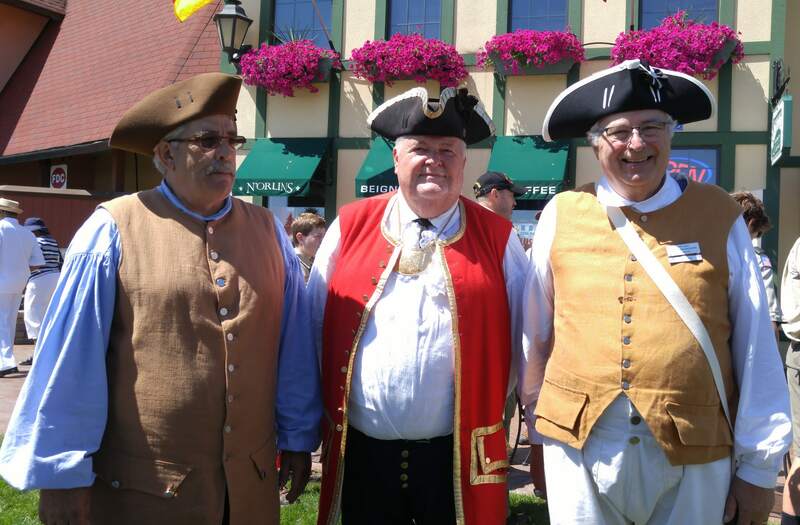 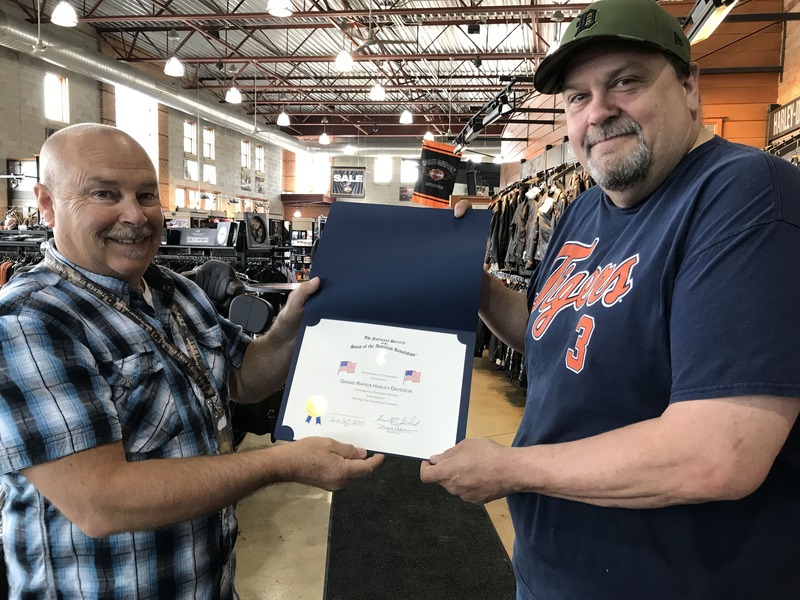 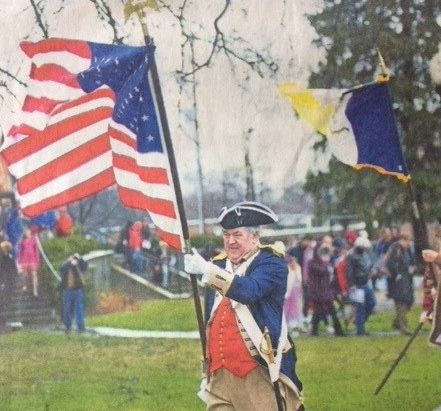 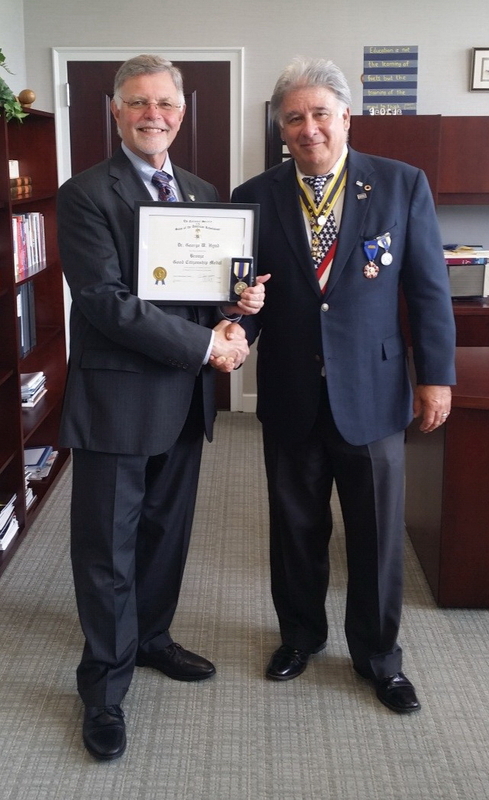 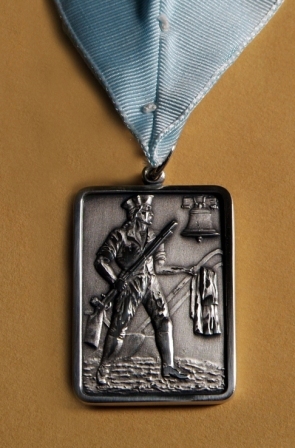 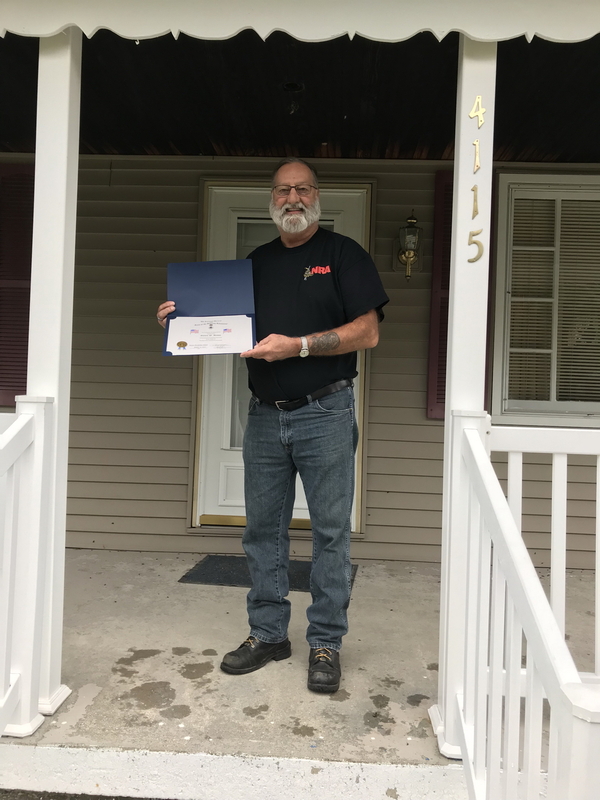 Callanan, who lives in Marquette, Michigan, and is a member of the Northern Michigan Chapter of the Michigan Society, Sons of the American Revolution, is only the 11th Michigan member to earn the award since its inception in 1952 and the first since 2000. 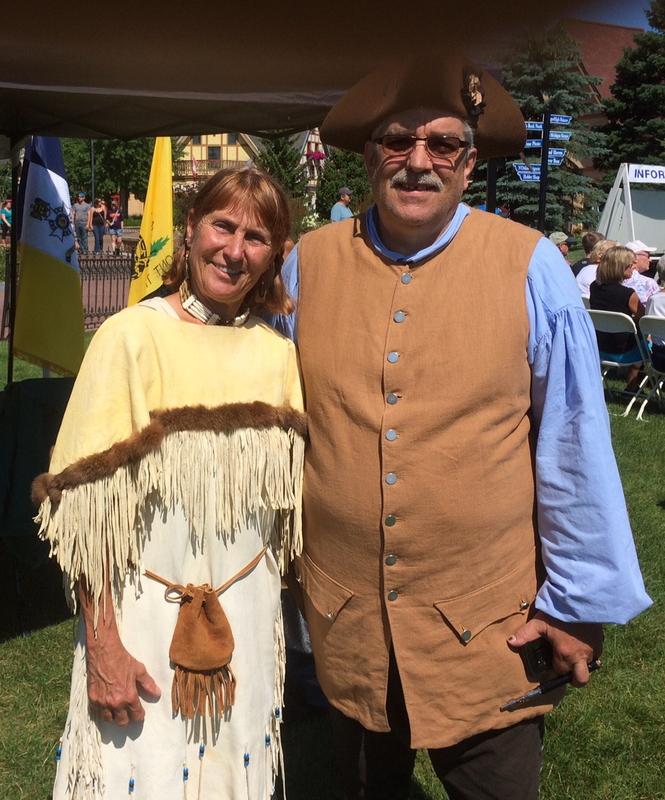 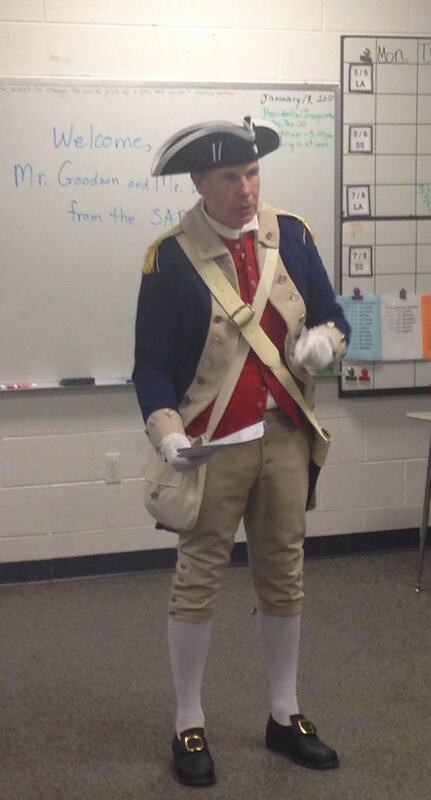 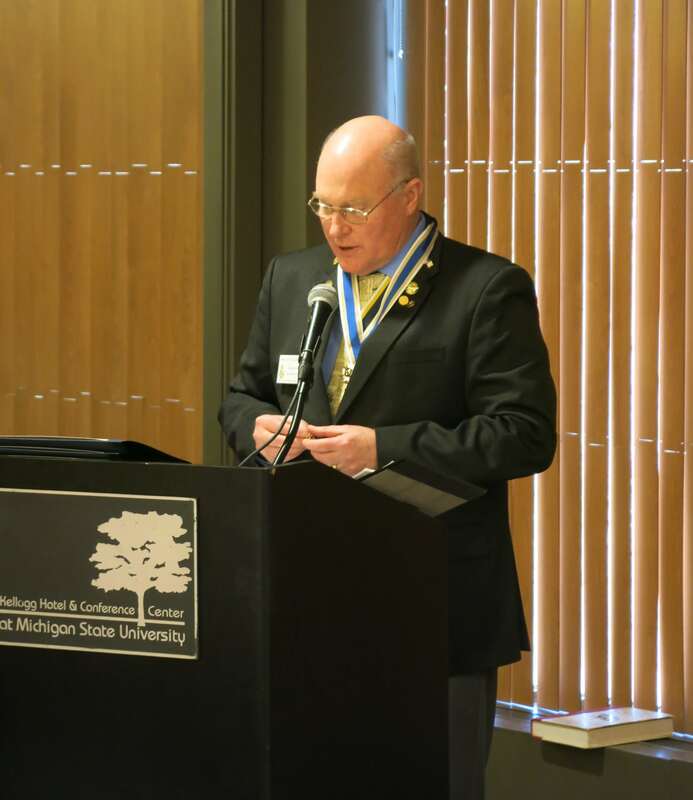 Callanan is president of the Michigan Society of the SAR, which currently is establishing a separate Upper Peninsula chapter of the organization for people with direct ancestral lineage to an American Revolutionary Patriot. 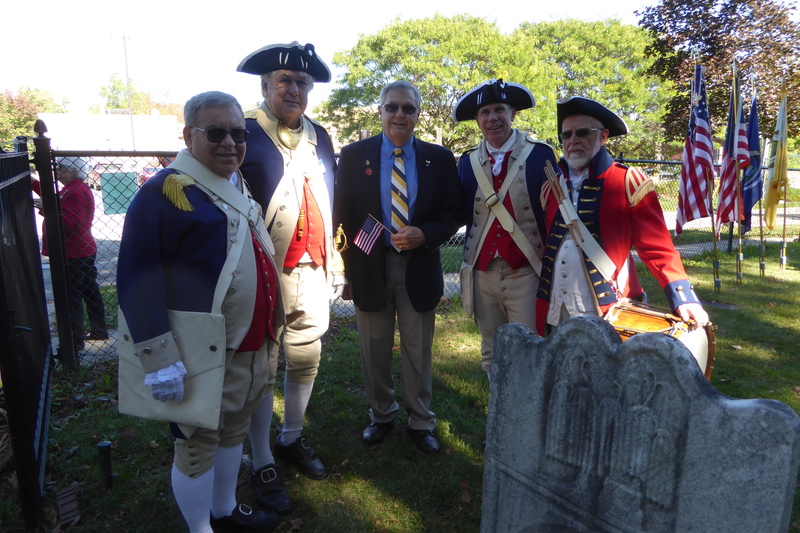 SAR genealogists can help interested men prove suspected ties to Patriot ancestors. 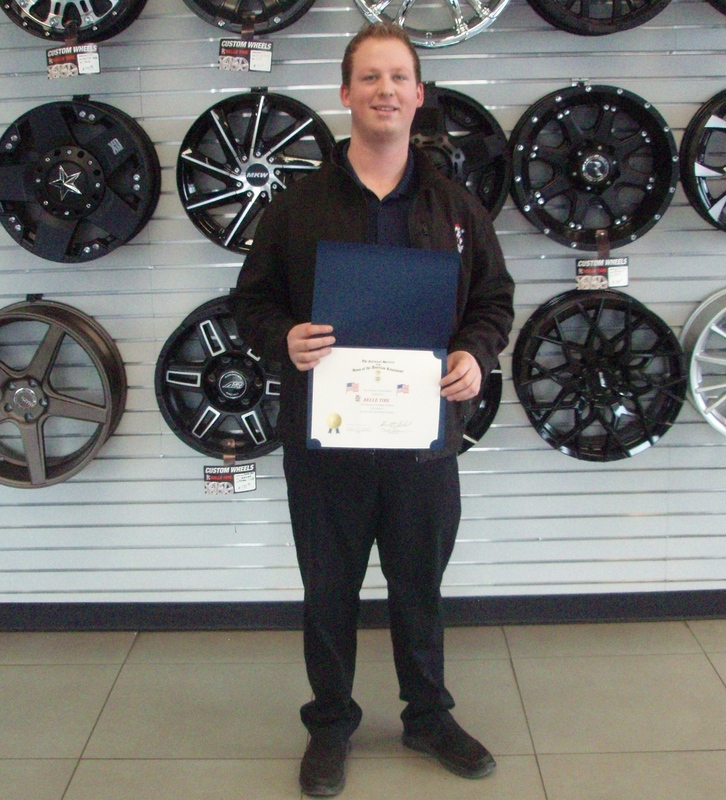 Congratulations to Paul from his fellow MISSAR compatriots for this well-deserved recognition! 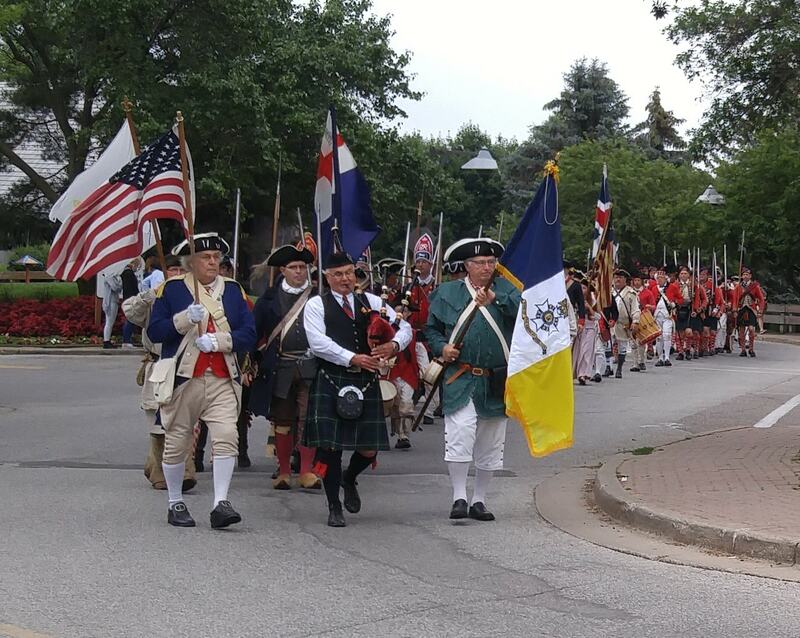 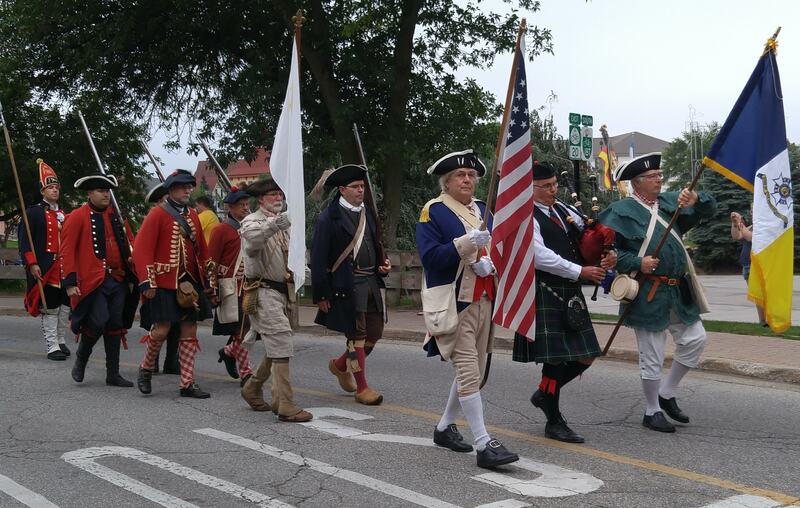 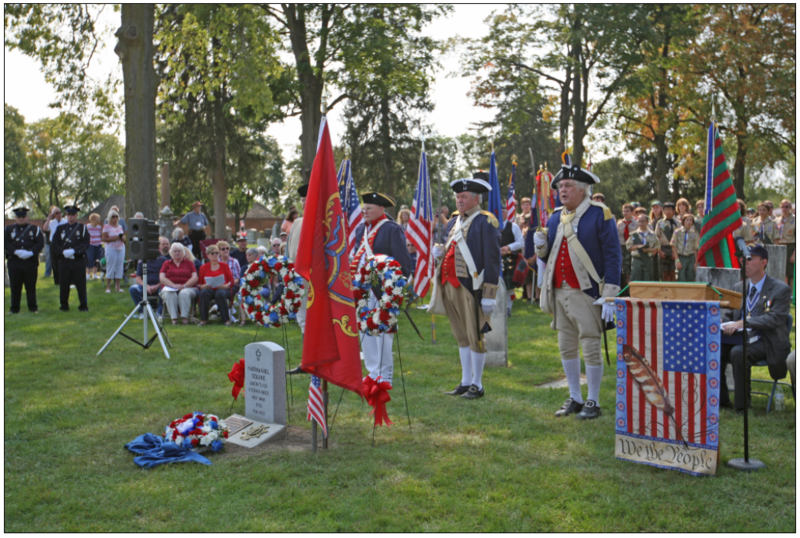 On July 14, the MISSAR Color Guard performed a Memorial Ceremony in Howell, Michigan. 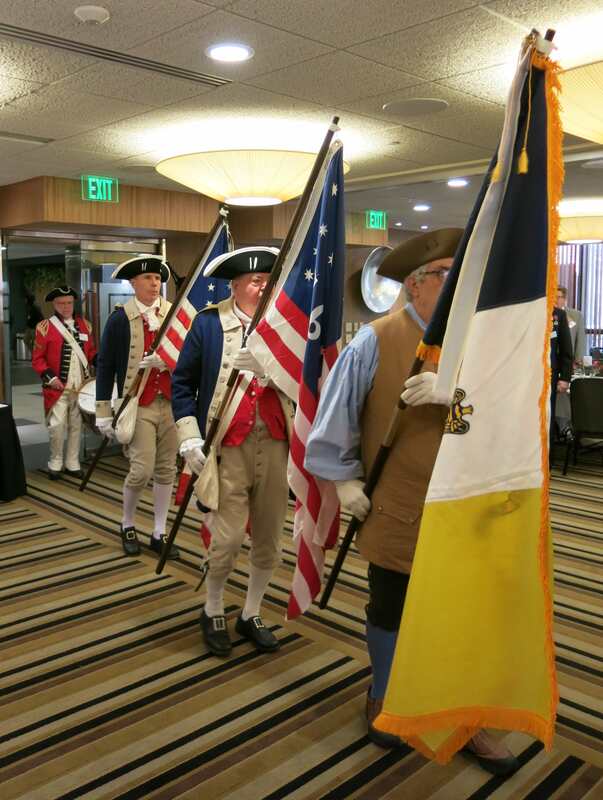 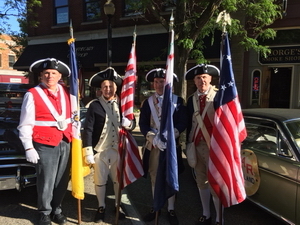 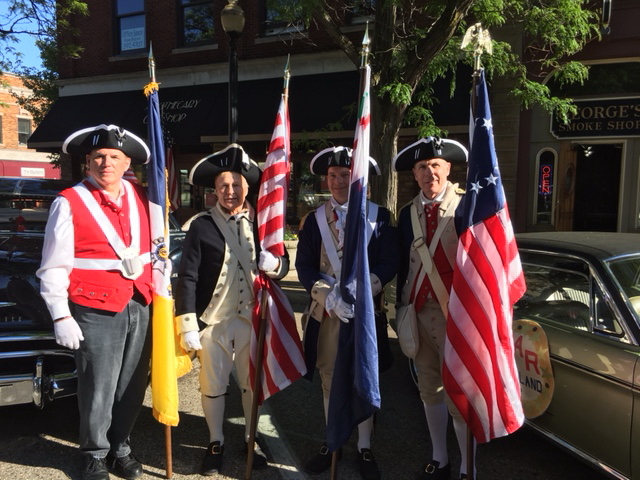 The Color Guard were asked by DAR Philip Livingston Chapter Commemorative Events Chairwoman Sue Ellen Andrews to be involved. 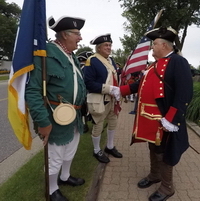 The ceremony was to commemorate the 26 soldiers from Howell that died in World War I. 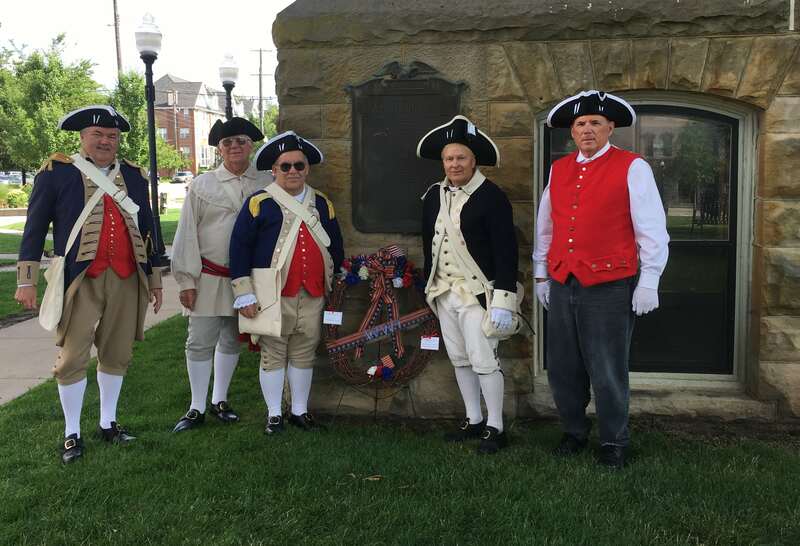 Chairwoman Andrews read the names of the fallen soldiers and placed a wreath, escorted by MISSAR Secretary/Treasurer Dennis VanWormer, Past President Rod Wilson. 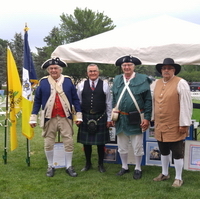 Compatriots VanWormer and Wilson then performed the Sword Salute. 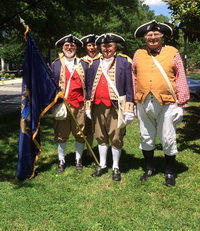 Filling out the ranks of Color Gaurd participants were James Perkins, Donald Reifert, and Charles "Chip" Stevers. Other MISSAR compatriots in the audience were Philip Jackson from Huron Valley and James Schell from Kensington Valley. 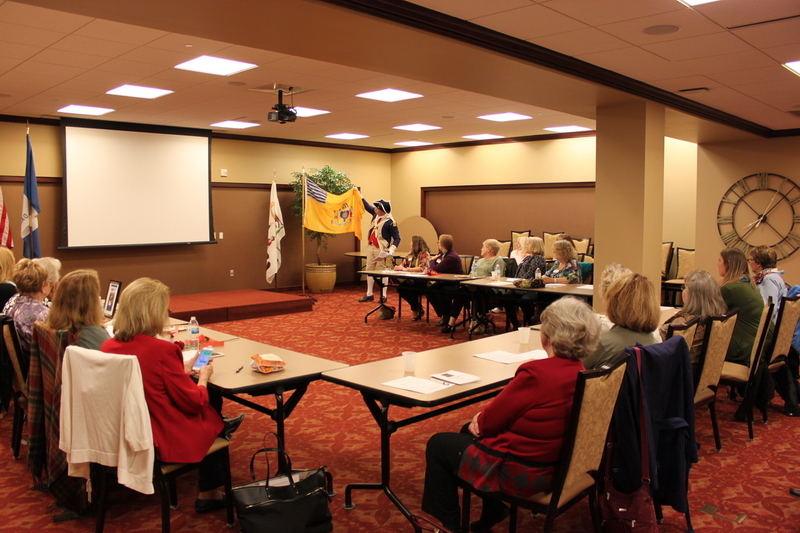 Chairwoman Andrews and her chapter team put on an excellent event! 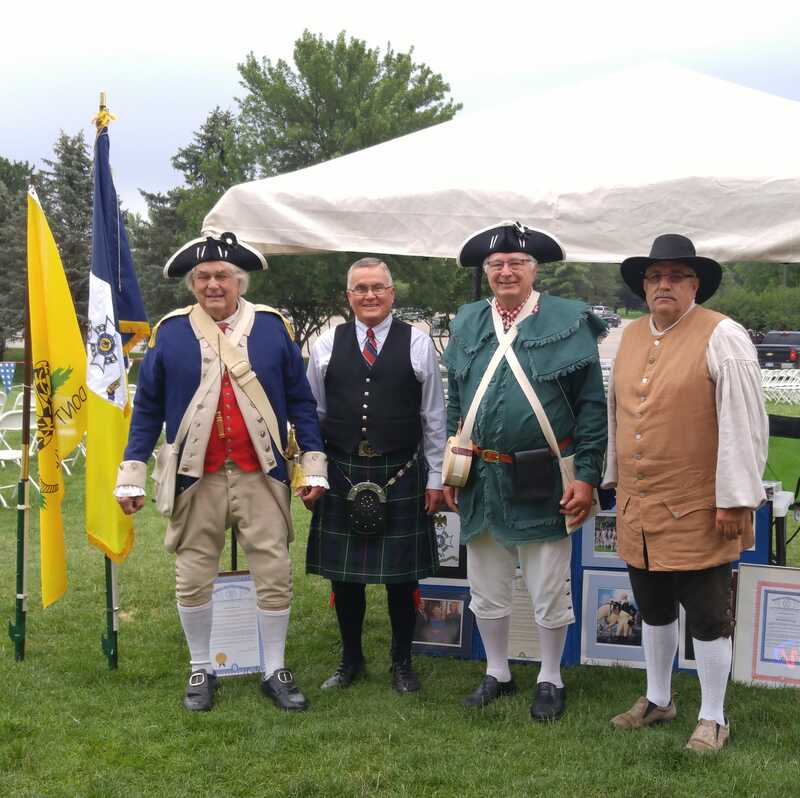 The annual Cass River Encampment is about introducing people to 18th century American military life. The two-day event features battle reenactments between French, British, and American 'soldiers,' and is always enjoyed by all who attend. 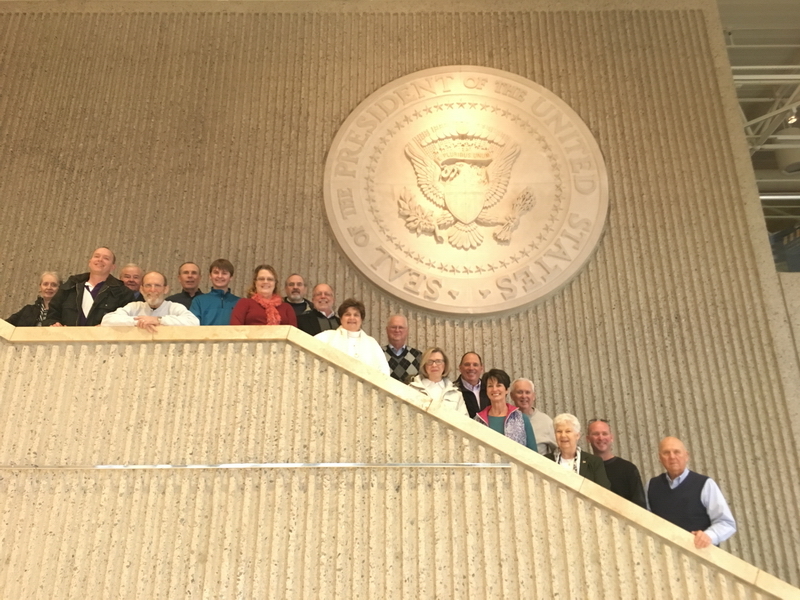 In attendance from the Central Michigan Chapter were Michael Huey and his wife, David Anderson and his wife, Ward Anderson and his wife, Bernie Grosskopf and his wife, and Harry Rice with future SAR member, Andrew Byerly. 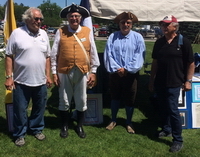 Representing the Northern Michigan Chapter were Joseph Conger and his wife, Ron Bernard, and Brent Kemmer. 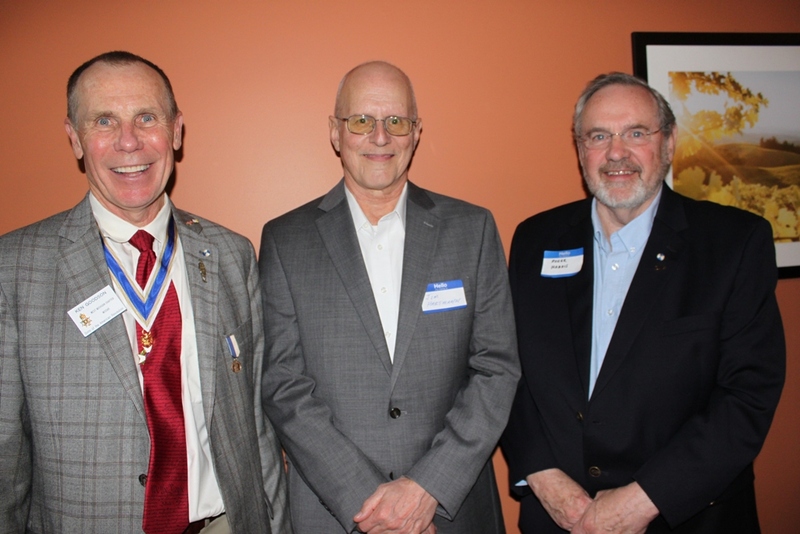 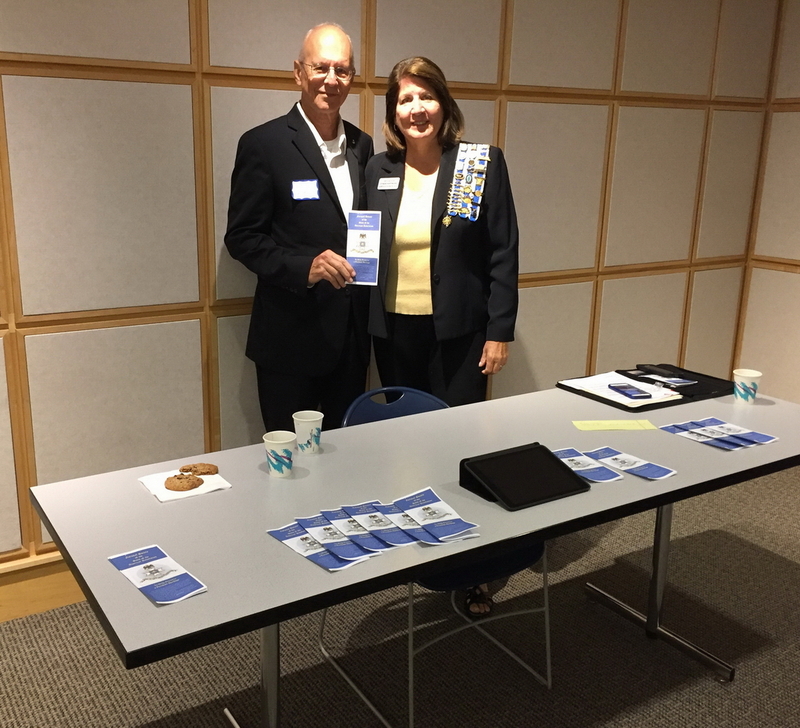 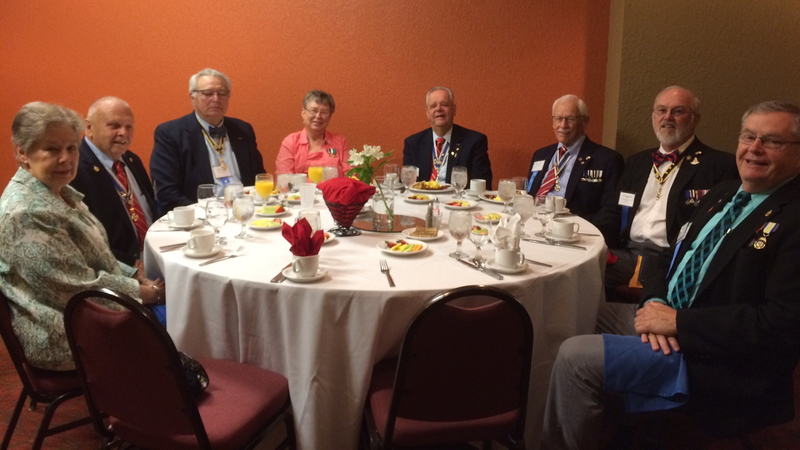 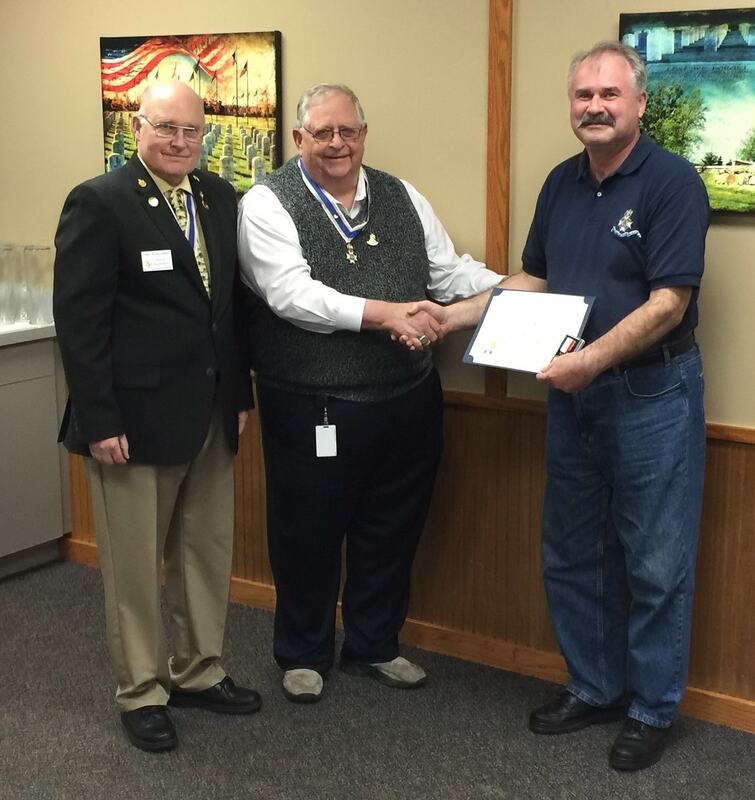 Gerald Burkland represented the Paul Emery Chapter, and Bob Mathews attended from Kensington Valley. Check out our Facebook page for videos and additional detail. 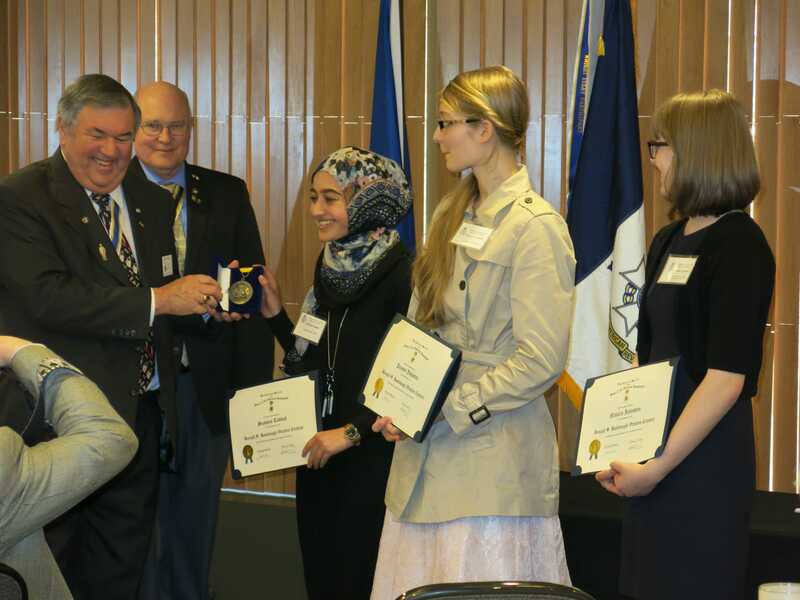 The MISSAR is now represented on YouTube! 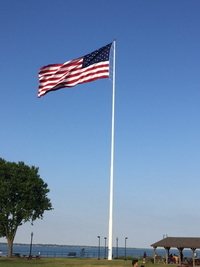 A Channel has been established and videos are uploaded with more to come. 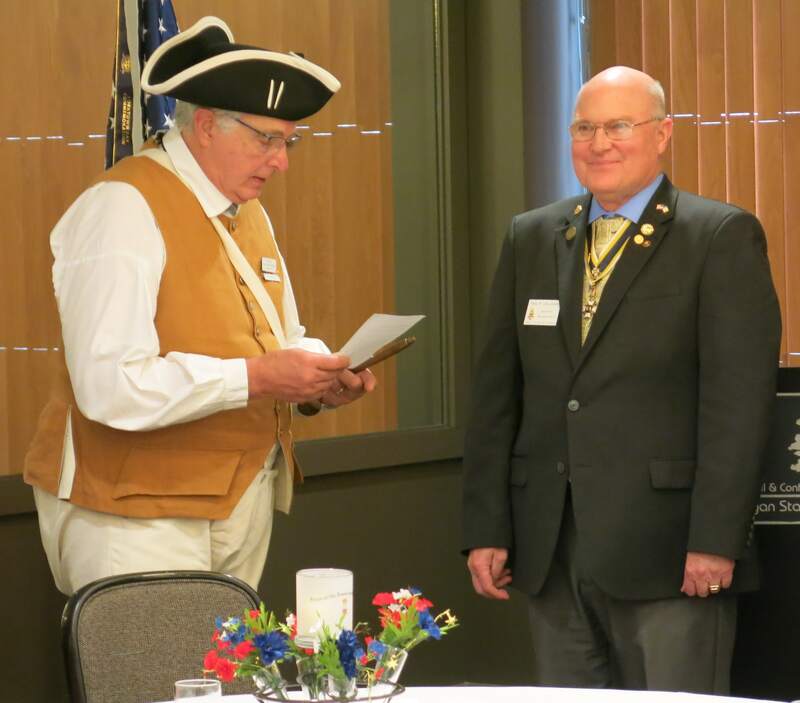 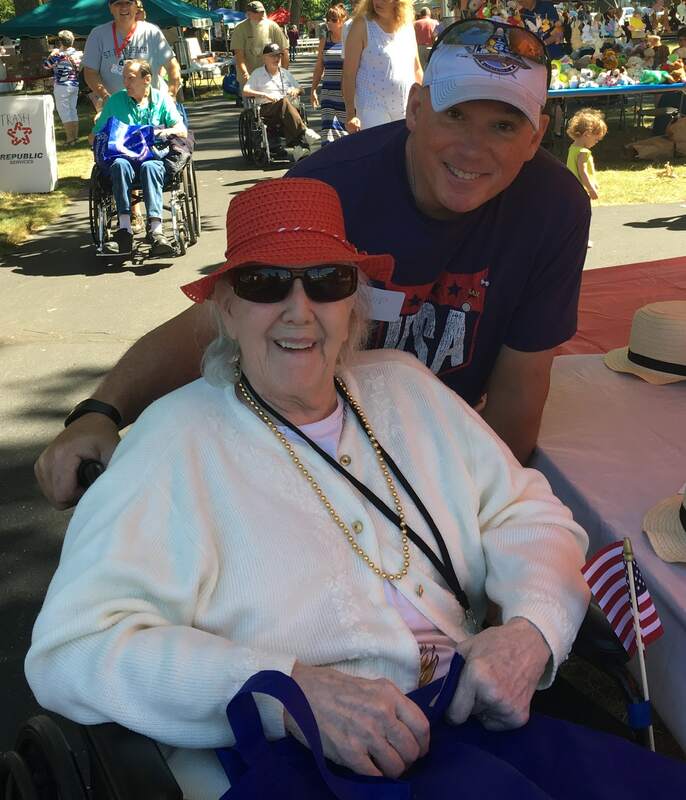 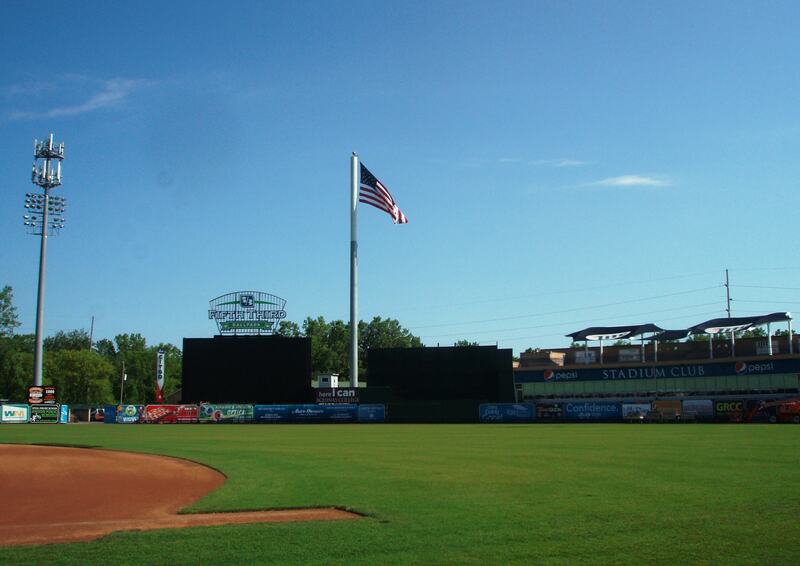 Click the links below to enjoy some of our recent activities. 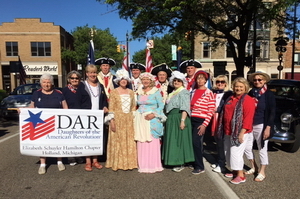 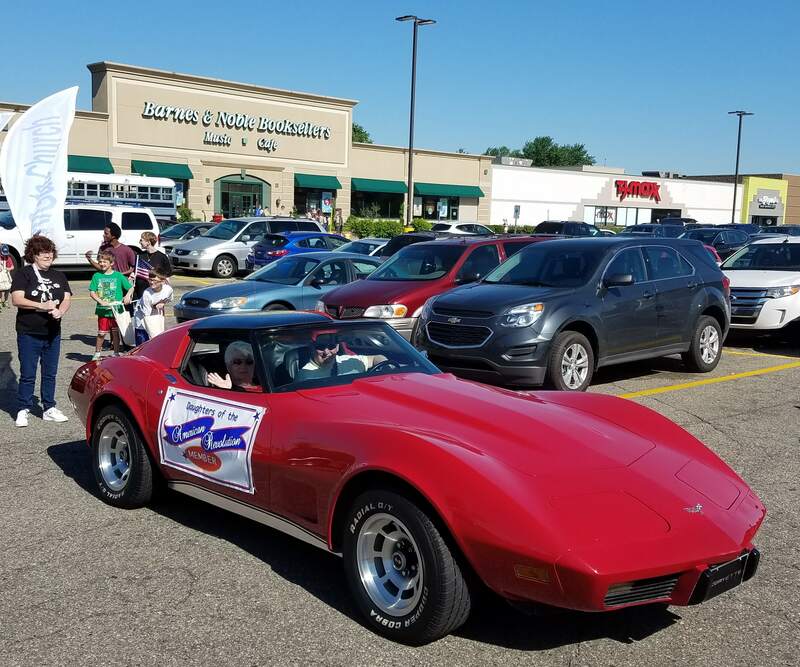 The MISSAR was solidly represented throughout the state of Michigan for this year's Memorial Day festivities. 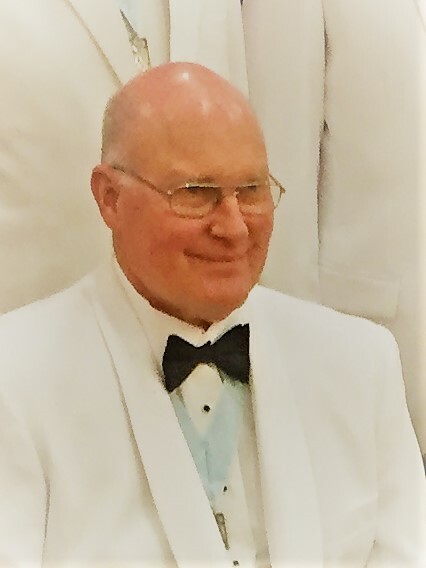 Click on any image above to enter the gallery to learn more. 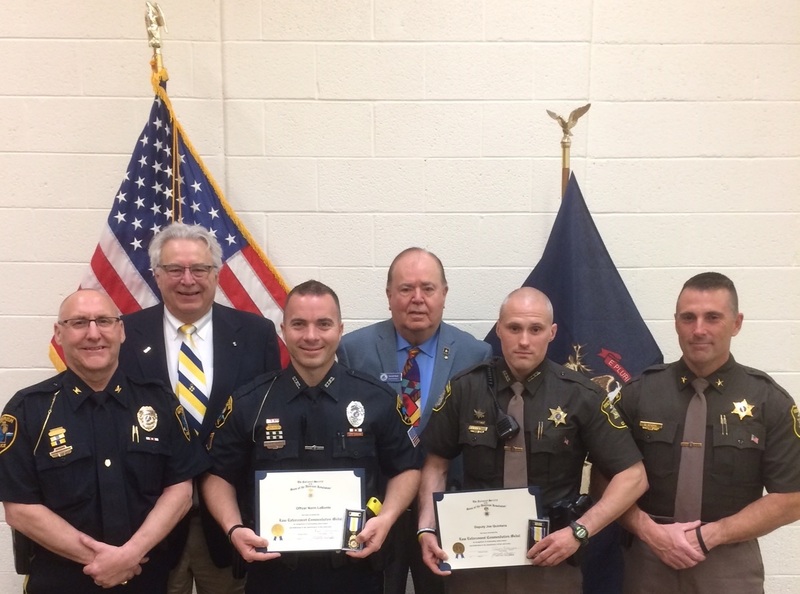 The 2017 MISSAR Annual General Membership Meeting featured a number of important and enjoyable activities and awards, including the Knight Essay Award of $1000 and a medal given to Anthony Lumetta, who attended with his father, Bert, and the Society's Law Enforcement Award given to Michigan State Trooper Donald Stewart (attending with his family) who reminded the gathering that "patriotism is for giving back to the community." 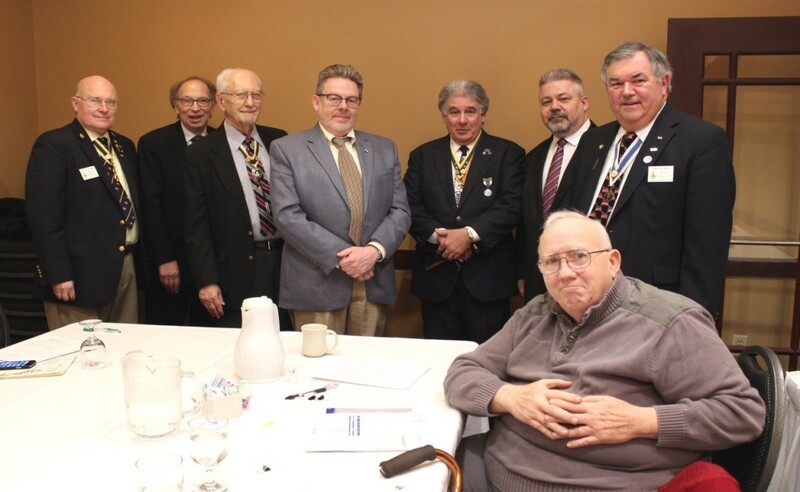 For more information about the meeting, please review the meeting minutes here. 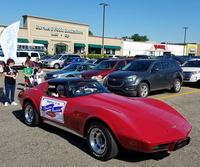 Click on the image above to enter the event gallery. 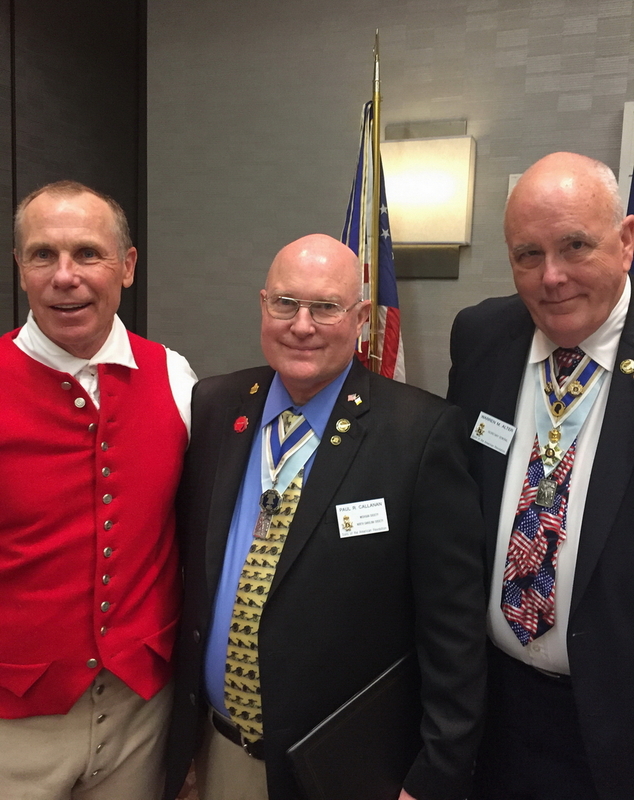 Props to Compatriots Paul Callanan, John Crissman, Ken Goodson, and Dennis Van Wormer for providing materials for this article! 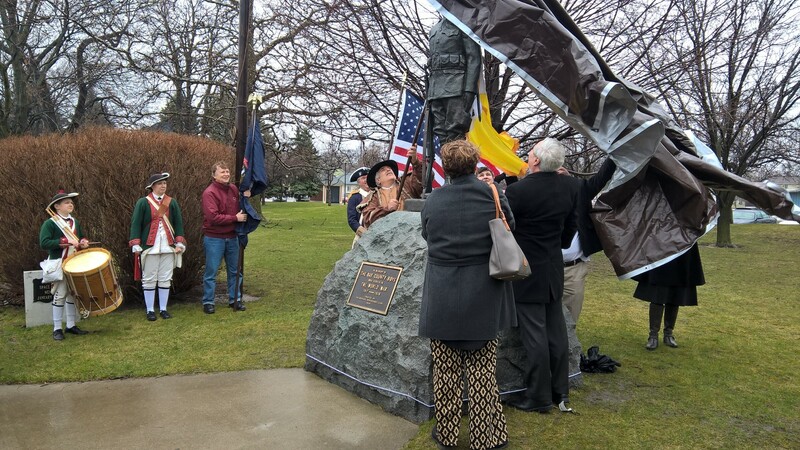 Members of MSCAR and their MISSAR brethren, along with friends and spectators (about 50-60 in all), braved icy-cold strong winds and sleet in celebration of the unveiling of the restored WWI Doughboy statue in Pershing Park, Bay City. 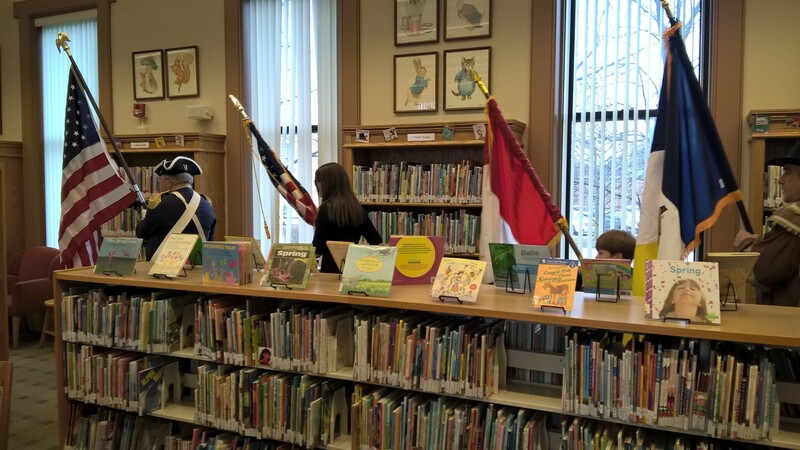 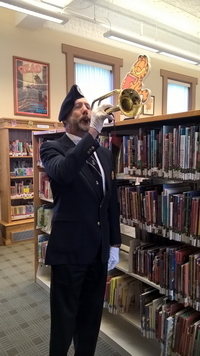 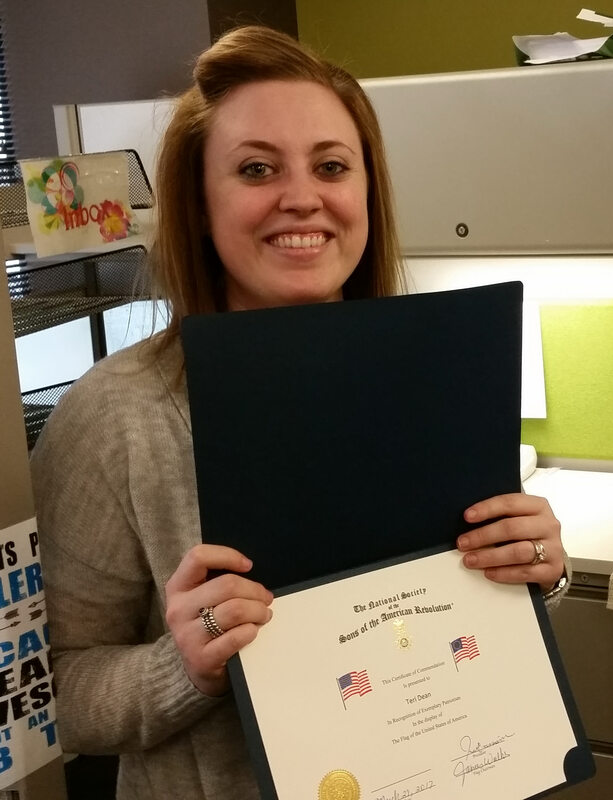 Earlier, at local Sage Library, a rededication ceremony was held honoring WWI veterans. 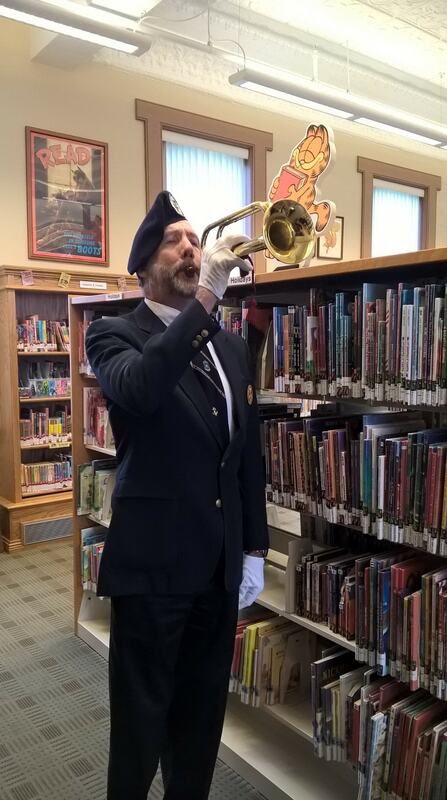 The American Doughboy 'idea' came to us in the fall 2015 when a report was given about the refurbishing of the Doughboy statue in Benton Harbor. 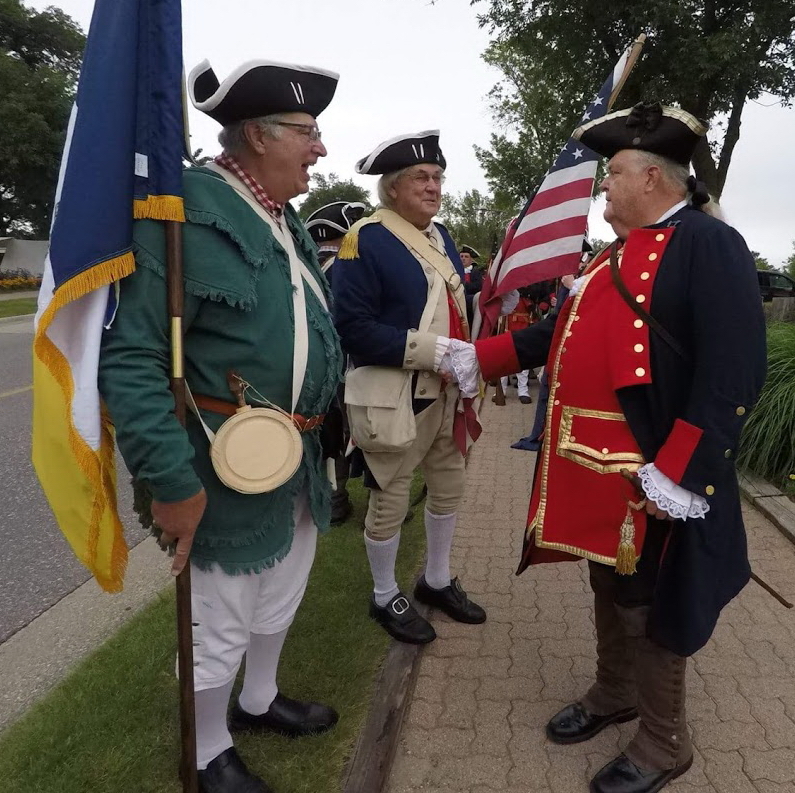 MSCAR President Madden Brady took the idea from there and raised nearly $14,000 toward the cost of restoration of the statue in Bay City. 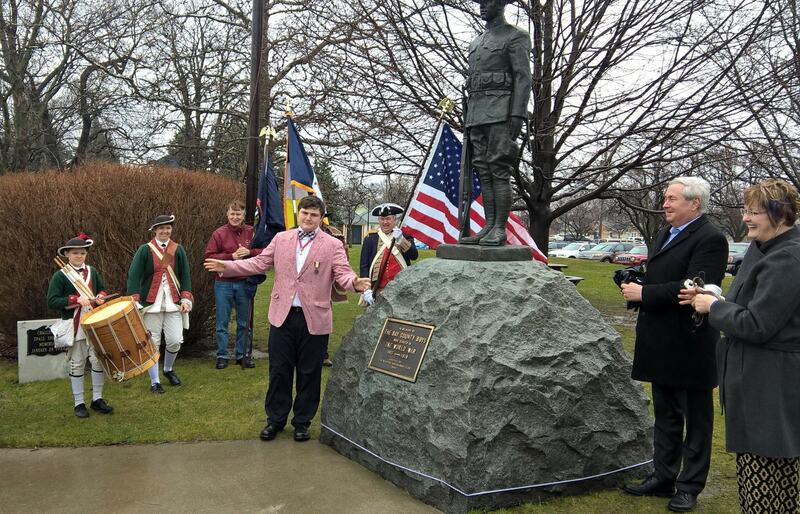 The ceremony also marked the 100th anniversary of the original dedication of the statue. 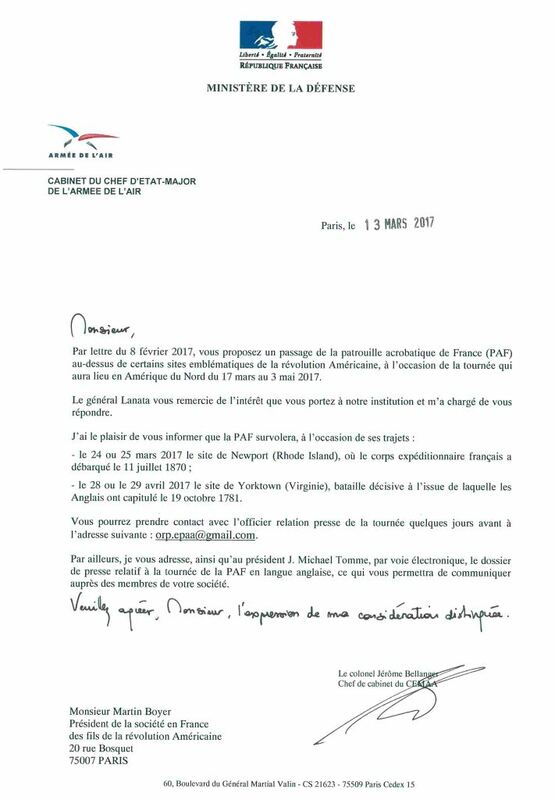 To commemorate the United States’ entry into World War I, the famous Patrouille de France has been invited to tour America from March to May 2017 to perform in a number of exceptional air shows and flybys in the U.S.
[Click on the image above of] the official announcement from the top ranking French Air Force Chief of staff, General Lanata, [to view] the detailed programme, printed into English, as relayed by Colonel C. Proffit. 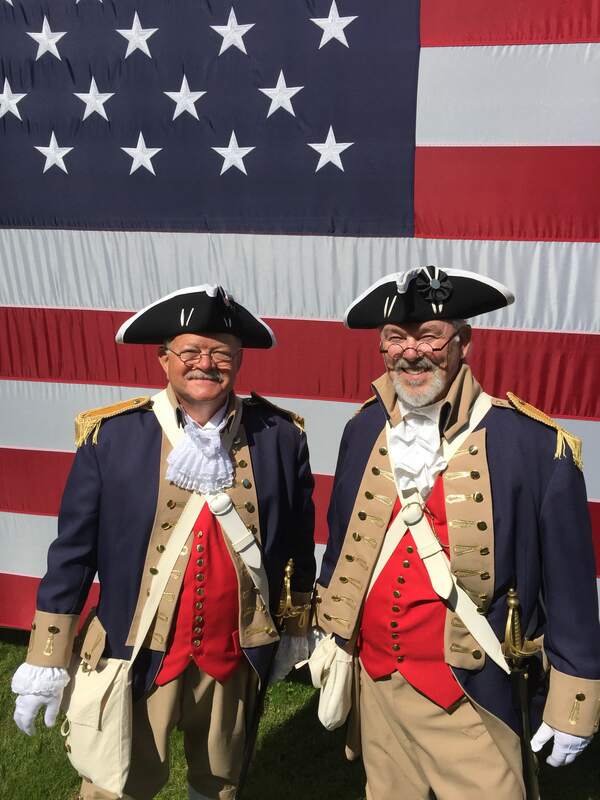 Kindly allow me to underline the importance of these events for giving more light in the U.S. to our over 2-centuries alliance. 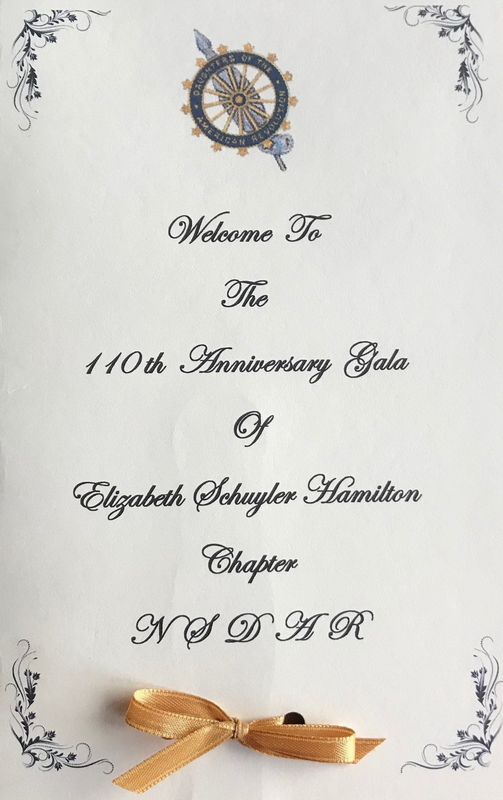 May I request that you would consider stressing the importance of promoting these inspiring and rare events, by SAR state societies' officers and encourage all the NSSAR members to attend whenever possible, especially in those states where the French Air Patrol will perform. 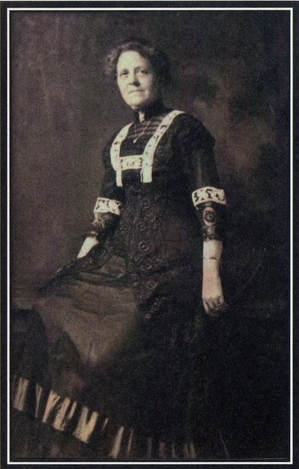 Note: Gallery photos are high-quality images of large file size. 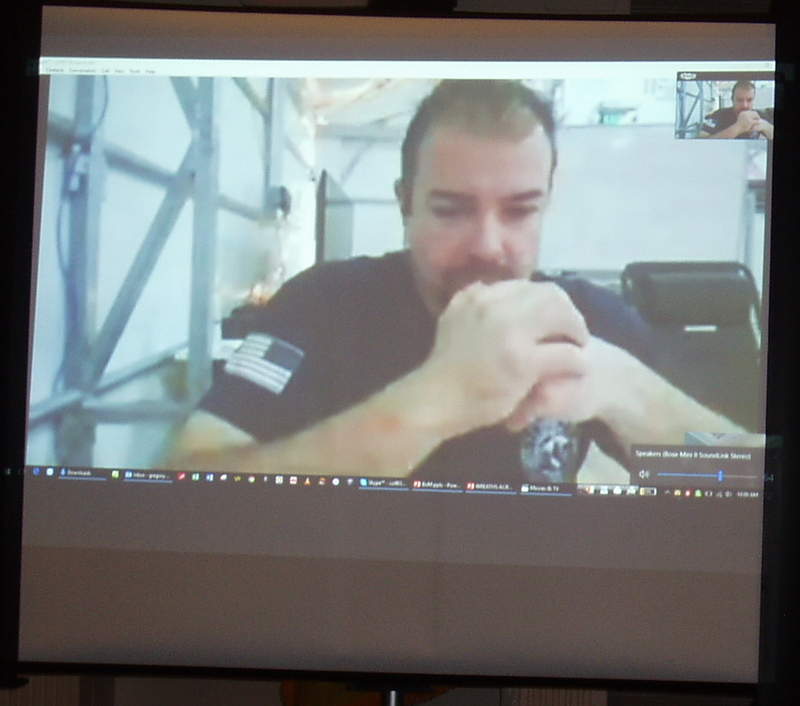 Please allow time for them to load in your browser, but once they load, you won't have to load them again.